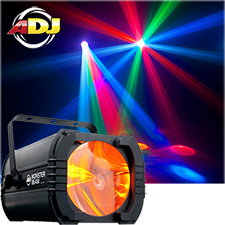 The ADJ Monster Beam is a high output Moonflower effect that produces very thick beams of light powered by 25x 1-Watt LEDs (5x Red, 5x Green, 5x Blue, 5x Amber and 5x White). This fixture has exciting built-in lighting shows, or users can run the effect in sound active or DMX mode. 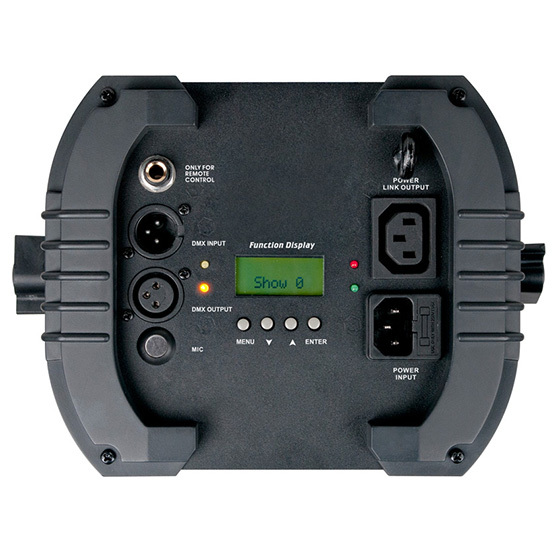 The Monster Beam has a 4-button DMX LCD display on the rear panel to help user easily navigate through the built-in features. This fixture provides DMX and power linking on the rear panel, a hanging yoke to attach the fixture to truss, and a safety loop to secure the fixture with safety cable as a secondary precaution. The Monster Beam is compatible with the easy-to-use UC3 hand-held controller, has a wide 29-degree beam angle and only draws 40W maximum power.